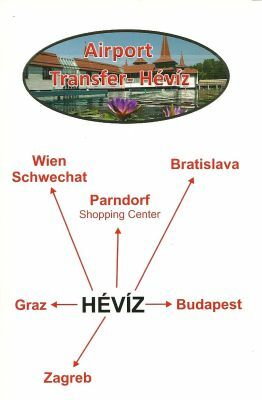 Our service is transfer to and from Liszt Ferenc Airport (Budapest), Héviz-Balaton Airport (Sármellék), the airports of the neighboring countries and your accommodation in a fair fixed rate 24 hours a day. Our fixed rate service takes the shortest route without any interruptions between the two destinations. Our company is on the market since 2011. Most of our clients are private travelers, and we maintain a high quality transfer service to them. Our airport transfer means we will bring you from your accommodation to the entrance of the airport, or from the exit of the airport to your accommodation. The comfortable minibuses and cars and the punctual, polite drivers make your journey enjoyable from the moment you exit your door. Our service is available 24 hours a day either through telephone or internet booking.